James Matthews, poet, writer and publisher, has produced five books of poetry, a collection of short stories, a novel and an anthology of poetry, which he edited. Most of his work was banned under the previous government and was translated and published overseas. For 13 years he was denied a passport and was placed in detention from September to December 1976. Solitary confinement was widely used during the apartheid years; its purpose being to disorient, to dehumanize, to undermine the detainee’s sense of self-identity. James Matthews waged a struggle against this agenda with the one weapon the jailers couldn’t take away from him – his ability to turn words into poems. In 1980 Matthews participated in the Frankfurt Book Fair, and in 1982 he participated in the Cultural and Resistance Conference in Gaborone. He was awarded a Fellowship at Iowa University, U.S.A. and was the founding member of the Vakalisa Art Association and founding member and Patron of the Congress of South African Writers. James Matthews is the first black person to have established an art gallery (Gallery Afrique) in South Africa, and is the first black to have established a publishing house (BLAC Publishing House 1974 -1991) The publishing house closed in 1991 due to constant harassment by the previous government. 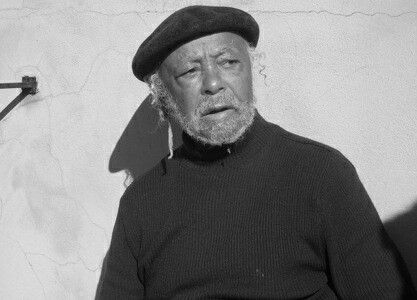 Matthews is the recipient of the Woza Afrika Award (1978), Kwaza Honours List – Black Arts Celebration, Chicago, U.S.A.(1979) and the Freeman of Lehrte and Nienburg, Germany (1982). In 2010, he was given an award by the City of Cape Town.